ACCORDING to A. S. Dalal, the editor of the new compilation Steps to Freedom and Mastery, its title is apt to raise some interesting questions. What do the terms ‘freedom’ and ‘mastery’ mean in the context of inner growth? How does one progress from the use of will power and self-control to a complete mastery of the lower nature? Does freedom have to come before mastery or must one have a self-mastery before experiencing spiritual freedom? The selections from the writings of Sri Aurobindo and the Mother provide answers to these questions and suggest the first steps towards achieving a freedom from and a mastery over our human imperfections. Sri Aurobindo: Saga of a Great Indian Sage is a new biography by Wilfried Huchzermeyer, who has previously written a short biography of the Mother. Drawing on Sri Aurobindo’s own words and the work of previous biographers for his narrative, the author has also evaluated the most recent sources available, including the volumes of The Complete Works of Sri Aurobindo that contain previously unpublished material. The initial chapters follow Sri Aurobindo’s childhood in India, his education in England, and his life in Baroda, where, in addition to his teaching and administrative duties and his intensive linguistic and literary studies, he began taking part in the political debate in India. In ensuing chapters we see his political activity intensify and read the compelling details behind his editorship of the Bande Mataram, the Congress session in Surat, and the Alipore Bomb Trial. The drama of his departure from British India and eventual arrival in Pondicherry heralds a different focus of work. While the next chapters detail many of the outward happenings and circumstances of his life in Pondicherry they also touch on the nature of his own sadhana, the enormity of his comprehensive vision as expressed in the writings of the Arya, the impact of his collaboration with the Mother, and the significance of the battle against Hitler during World War II. The book concludes with a photograph section comprised of historical pictures and current images of the Ashram and its environs. 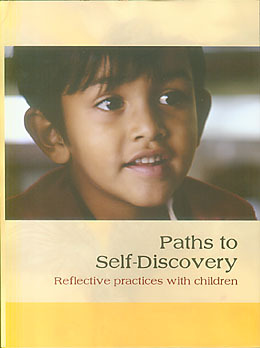 Other new publications introduced below include Paths to Self-Discovery: Reflective Practices with Children, brought out by the Mirambika School located on the campus of Sri Aurobindo Ashram–Delhi Branch and Seed of Grandeur by S. K. Sarma. The first is an amalgamation of text, photographs, and illustrations that exemplifies the school’s principles of teaching, which are based on the ideas of Sri Aurobindo and the Mother regarding education. The book uses reflections and observations from the children, the teachers, and a few of the parents to demonstrate the day-to-day activities and learning practices of the school. Seed of Grandeur is a scholarly work that begins by examining two short poems of Sri Aurobindo, “Thought the Paraclete” and “Rose of God”, as being of special interest for students of his epic poem Savitri. The major part of the book is given over to a detailed commentary on the five cantos of Book One of Savitri. New for individual buyers: Free shipping within India for orders with a total item value of Rs 800 and above. To order any book, click on the title, which will locate the book in our online catalogue. Next, add it to the shopping cart. You may then proceed to pay by credit card online or other available methods. The passages in this compilation help to define spiritual freedom and self-mastery. The book begins with descriptions of the ordinary human existence ruled by the elemental Ignorance of the material Nature. Subsequent parts outline the first steps towards achieving a freedom from and a mastery over our human imperfections: becoming conscious of one’s inner movements, purification of the lower nature leading to self-mastery, and detachment from the movements of the outer being. Absolute mastery and supreme freedom can be finally attained through the liberation from the ego and the radical transformation of the mental, vital, and physical nature into the divine nature. This biography of Sri Aurobindo examines all aspects of his life: his education and early political activities as well as the work he undertook after his arrival in Pondicherry. A brief introduction to Sri Aurobindo’s main prose works, a description of his collaboration with the Mother, and an analysis of certain aspects of the Second World War are treated in various chapters. The author draws on the work of previous biographers as well as evaluating the most recent sources available, including the volumes of The Complete Works of Sri Aurobindo that contain previously unpublished material. The book includes twenty-six pages of photographs. The author has also written a short biography of the Mother. This book provides a glimpse into the educational environment of Mirambika, a school situated on the campus of the Sri Aurobindo Ashram–Delhi Branch. It follows a free progress learning system based on the ideas of Sri Aurobindo and the Mother, who said that education should help children to develop their entire nature—physical, vital, mental, psychic, and spiritual. The text, photographs, and illustrations all help to show the day-to-day implementation of the self-observation and reflective practices used with the children, whose ages range from three to twelve. It includes remarks, reflections, and observations from the children, the teachers, and a few of the parents. 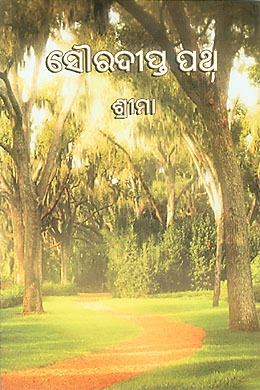 After a short introductory note that traces the development of Sri Aurobindo’s philosophic thought and provides a structure for his commentary, the author begins with two of Sri Aurobindo’s short poems, “Thought the Paraclete” and “Rose of God”, which he finds of special interest to those who wish to study the epic Savitri. The rest of the work is devoted to Book One of Savitri, where each of the five Cantos is first introduced and then annotated by lines and passages. Notes on the text, a bibliography, and a perspective on literary criticism of Sri Aurobindo’s poetry round off the book, which is a revised and enlarged edition of the author’s original 1972 work. The selections for this compilation are aimed at young adults, inviting them to begin an exploration of Sri Aurobindo’s spiritual vision, primarily through the world of his poetry. The last three items are prose pieces: an excerpt from his well-known Uttarpara Speech, where he reveals something of his spiritual experiences in Alipore Jail; his message of 15 August 1947 that describes the import of his five dreams for India and the world; and a passage on the aesthetic, intellectual, and spiritual value of art to human development. This book records talks and conversations the Mother had with members of the Sri Aurobindo Ashram and students of the Ashram school. They include comments on her essays on education and on three short works of Sri Aurobindo: Elements of Yoga, The Mother, and Bases of Yoga. In this correspondence with fourteen persons, disciples living in the Ashram and students of the Ashram school, the Mother answered general questions about life and Yoga. A biography suitable for young as well as mature readers, this book was written by a disciple who carried on a long and varied correspondence with Sri Aurobindo and who then later served as Sri Aurobindo's literary secretary. 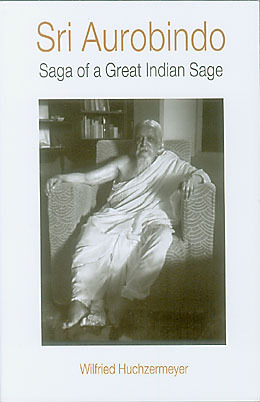 He has culled interesting anecdotes and experiences from his correspondence and from the talks which Sri Aurobindo had with his attendants between 1938 and 1950 to give a unique flavour and an intimate feel to this book.